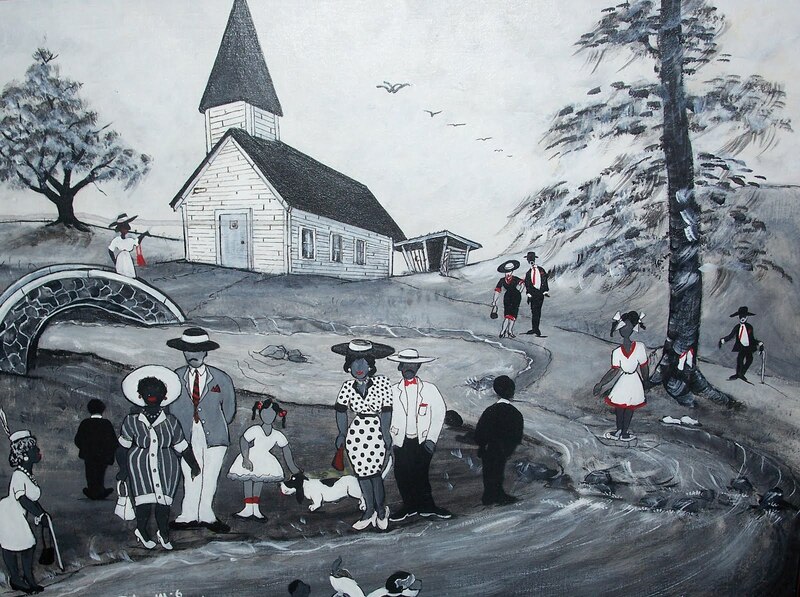 The exhibition Simpler Times: The Paintings of Maurice Cook will be available through Friday, April 13, at Central Library's Fourth Floor Gallery. Cook is self-taught and his work depicts people enjoying life and activities typically found throughout the rural South. He began painting professionally in 1994. Working primarily in acrylics, Cook’s art is honed from experiences and impressions through his lens on life—working as a juvenile detention officer, barber, welder, and fireman. Cook has exhibited in numerous shows including the Birmingham Art Walk, Montevallo Art Show (where he was recipient of the 2010 Award of Excellence), Fairhope Arts and Crafts Festival, and the Virginia Highlands Festival in Abingdon, Virginia.